The Zurich Film Festival and Schweizer Fernsehen’s 5th Talent Workshop. Zurich turns into an international meeting place for film during the annual Zurich Film Festival. One objective of the Zurich Film Festival’s organisers is to use this platform to provide young, ambitious and talented individuals with the opportunity to open up dialogues with renowned filmmakers. This was achieved in 2006 with the initiation of the Zurich Master Class, which has already seen numerous aspiring filmmakers participate in its programme over the last few years. In 2010, a select circle of directors, authors and producers from Switzerland, Germany and Austria will be given the opportunity to learn from the masters of their profession by discussing specific topics in great detail during a week of intensive talks. Co-organised by Schweizer Fernsehen, the Zurich Master Class offers workshops concentrating on various film-specific topics, inspirational encounters and intensive networking possibilities. This year’s “invitation only” workshop talks will take place within the walls of the Zurich University of the Arts on Gessnerallee. We are also pleased to announce that several discussions will be open to the general public within the framework of the 6th Zurich Film Festival’s Public Master Classes held by our very welcome guests Barry Gifford, Adrian Grenier and Vilmos Zsigmond. Oscar prize-winning Vilmos Zsigmond’s filmography reads like a mini Best of American Masterpieces from the last decade. Born in Hungary, Zsigmond migrated to the USA in 1957 carrying 35 mm recordings of the 1956 Hungarian revolution, and established himself as one of his new homeland’s most important cameramen within the space of a few short years. He celebrated his Hollywood breakthrough after collaborating with the most influential directors of the 70s: Robert Altman’s anti-Western McCABE & MRS. MILLER (1971) brought him his first BAFTA nomination. With several Academy Award nominations and an Oscar for Steven Spielberg’s science fiction film CLOSE ENCOUNTERS OF THE THIRD KIND (1977), Zsigmond is now one of America’s greatest and most renowned cameramen. His image language has shaped innumerable films including Brian de Palma’s classic OBSESSION (1976), THE BONFIRE OF THE VANITIES (1990), BLACK DAHLIA (2006) and Michael Cimino’s THE DEER HUNTER (1978) and HEAVEN’S GATE (1980). YOU WILL MEET A TALL DARK STRANGER (2010) is his third collaboration with Woody Allen. 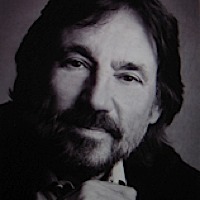 This Public Zurich Master Class will see Vilmos Zsigmond use a selection of film sequences to discuss his work with the renowned film critic Peter Cowie. The eerie worlds of the claustrophobic universe dreamt up by David Lynch in LOST HIGHWAY and WILD AT HEART do not only originate in the sombre fantasies of the director himself: the US-American author and screenwriter Barry Gifford made his name writing the screenplays for the above mentioned masterpieces. Gifford’s tales from the American precipices not only encompass screenplay drafts for such films as PERDITA DURANGO (Àlex de la Iglesia) or CITY OF GHOSTS (Matt Dillon), but individual literary works – like the series of novels „Sailor & Lula“, the first volume of which, „Wild at Heart“, formed the base for David Lynch’s identically titled film – that are repeatedly published and translated into various languages. In addition to his literary writings and screenplays, Gifford has also published stage plays, essays and lyrics. In a discussion with Michael Bodmer, Barry Gifford will give an insight into his accomplishments using various film sequences. The multi-talented Adrian Grenier, himself a target of the paparazzi posse, turns the camera around and aims the lens at them in his film TEENAGE PAPARAZZO. This ironic and playful handling of stardom and his own celebrity status is typical of the young American, who found fame in his homeland for his role in the TV series ENTOURAGE. TEENAGE PAPARAZZO is Adrian Grenier’s second documentary film. In addition to directing, acting and producing his own film projects, the sought-after star is also the drummer in his own band “The Honey Brothers”. 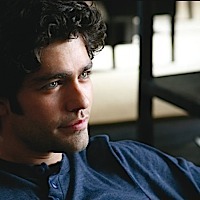 In this Zurich Master Class, Adrian Grenier will present his film – shown in Zurich as an Out of Competition Premiere – and discuss his multifaceted achievements with Christine von Fragstein and the audience. Zurich Film Festival: Film Finance Forum for the first time in Switzerland. How to best invest in film? How can film investment risk be effectively reduced to a minimum? How does structural transformation in digital technology impact the film industry and how does it affect the value added? How do the challenges met by the film industry influence financial and strategic trends across the whole media sector? The Film Finance Forum is an annual event that has taken place in Los Angeles, New York and Cannes Film Festival. The Forum aims on the one hand at potential investors in the finance industry, and on the other hand at the film and entertainment branch, such as film grant funders, distributors, producers and worldwide sales and marketing. The Zurich Film Festival and the Independent Swiss Film Producers lobby invite you to a podium discussion tackling the subject of reforms in the Swiss Film Promotion Concepts. The Independent Swiss Film Producers lobby will present their ideas and invite the industry to participate in open discussions. The talk "Does Zurich need a Film Office?" will be replaced by a presentation of Christiane Raab, Film Commissioner of the Berlin-Brandenburg Filmcommission. The Talks take place at the festival centre at Hechtplatz. The Zurich Film Festival presents a premiere film, the contents of which is very much in the spirit of Médecins Sans Frontières / Doctors Without Borders. The subject tackled in the film LIFE, ABOVE ALL closely relates to MSF’s day-to-day operation. You too can support the MSF’s good work by purchasing a ticket for the premiere: the entire proceeds will go to the medical organisation. The film will be followed by a discussion with MSF co-workers and the film’s director. The Zurich Film Festival and MSF invite you to a sumptuous Sunday Bruch at the Restaurant Rüsterei where you will be able to acquaint yourself with MSF and its projects in a relaxed and comfortable setting. Your 150 CHF contribution will go in its entirety to MSF. The brunch will be followed by a screening of BON APPÉTIT in the Arena Filmcity cinema. Come and enjoy the Charity Brunch and support MSF! Reserve your place at the Restaurant Rüsterei on 044 317 19 19 (standard call rate). Revellers will feel right at home in the Zurich Film Festival Night Lounge. The ‘Zermatt Unplugged’ festival puts on concerts by upcoming singer-songwriters from around Europe, and DJs provide a relaxed party atmosphere – every night! On the international scale of things, Vice Events parties are the biggest, hottest parties of all – and they’re coming to Zurich! This label is certain to provide an unforgettable evening in the Zurich Film Festival Night Lounge. The onedotzero_ch party promises to be as unconventional as the films shown in the onedotzero_ch line-up. Legendary DJ duo Animal Trainer rolls out the party there where it all began – at Plaza, Zurich’s first ever cinema. The 17th edition of this traditional charity party takes place in collaboration with the Zurich Film Festival, and promises to be an extra-special evening. DJs Stefan Zingg, Andy B. and M&Ms will set the mood. All proceeds of the party will go to support the valuable work done by Médecins sans Frontières (MSF). After 11 intensive days, the Zurich Film Festival will wind down with a huge party. Together with the Club Hiltl, the official Actors Closing Party will take place on October 2, when sought-after DJs will revive the festival feeling. In the thick of the festival, the Odeon offers the perfect oasis for anybody who wants to end their cinema evening with a drink at the bar. Have your evening makeup taken care of by Marrionnaud in their purpose-built annex.